With over 1.79 billion users, Facebook is the biggest social platform in the world, used daily by many businesses aiming to gather more leads, build brand loyalty and increase website traffic. There’s lots to be acheived here, so let us help you succeed. As the most used social media network, Facebook offers businesses an avenue to advertise their products and services, reach out to customers and spread the word about their brand to the world. On the face of it, it’s a cost-effective way to promote your company, but the key to success here is quite often putting in the time. You can really begin to reap the rewards when you engage with your followers and post enticing content regularly but building up a targeted following does take time. Facebook’s enormous user base can be a big selling point of course, but the fact that you may struggle to find a business that does not have a Facebook business page goes to show how popular it really is. This means that ensuring your voice is heard can be very hard work, but of course, shouting about your products or services all day everyday isn’t going to win you many sales, so clever tactics are required to make the most of this immensely popular network – and that’s where we come in. Social Moves will not only manage your Facebook page and update it with interactive content, we’ll draw in the right type of followers, post content at the optimum time, build brand loyalty, maintain a professional Facebook persona and improve your Facebook conversion rate. We’ve helped many small, medium and large businesses thrive on Facebook with a tailored monthly social media package, so if you’re interested in learning more about how we can help you, please feel free to send us a message here and we’ll get back to you as soon as we can. Quick fact: Every 60 seconds on Facebook 510,000 comments are posted, 293,000 statuses are updated, and 136,000 photos are uploaded. IMPROVE BRAND RECOGNITION AND ACQUIRE MORE CUSTOMERS. Facebook was originally established as a social network forum targeting college students, but now with over close to 2 billion users worldwide, it provides plenty of opportunities for reaching and interacting with your target audience to generate leads, conversion and sales. While Facebook is widely recognised for its huge global audience, many people (and business owners in particular) are surprised to hear that the biggest segment of users ranges between 35 and 54 years old, while the fastest growing segment of its demographic right now is 55 years old and above. So what does this demographic say about Facebook? It shows just how far Facebook has come, and that it’s now regularly used by people of all ages and not just the younger generations (who made up the majority of the user base within Facebook’s first 5 years of existence). So finding the right prospects can be relatively easy, but engaging with them and persuading them to take an interest in your business is a different story. It requires regular engagement which is something we talk about a lot on our website. This means that you, the business owner or the individual(s) running the account need to use it as a customer service tool to achieve success. Messages should be answered appropriately, while posts should be carefully crafted with your target audience in mind so that you’re constantly inviting engagement. The page also needs to be active because it’s very difficult to generate leads if you’re using it half-heartedly. We can ensure your page is managed properly so that it’s a conversion-driven area that you can be proud of, one that keeps customers coming back for more. Facebook can be one powerful tool but unless you’re really taking the time to interact and socialise with your followers, you may struggle to use this popular network to your business’s advantage. Sharing videos and photos is of course quite simple on Facebook, but it only becomes valuable and purposeful if you’re producing content that’s worth sharing. Many businesses take a handful of photos from their website and start sharing them on Facebook only to find a nobody is engaging. To continuously draw in likes and follows or to drive users to your website you need to think about the content your followers will interact with and share. We can help you do just that, and we’ll begin building brand awareness whilst using Facebook to generate real leads. 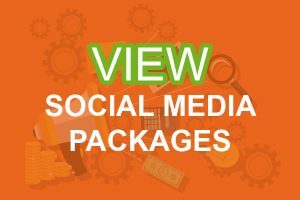 A package with us will ensure your followers interact with your page, feel positively about your brand and keep coming back for more. There’s a lot of truth in this quote from Facebook. It can be easy to find the right people if you do your homework and use correct targeting options, however, capturing their attention and persuading them to act on your advert is not easy. We’ve been running Facebook Advertising campaigns for years and thankfully the platform has improved considerably over time. With an active user base just short of 2 billion, Facebook gathers a hefty amount of demographic data and Social Moves can use this to help you target your desired customers with cleverly crafted adverts. We design adverts that grab attention but we also choose the right demographics for maximum results, ensuring they’re active at the optimum time. One of the first things you need to know if you’re considering using Facebook Ads is that it’s in a league of its own. If we compare it to another of our favourites, Google, we know that while Google is pretty smart in terms of demand fulfilment (searching and buying), Facebook is great for demand generation (discovery). When we create Facebook Ads for our clients as part of their monthly package, we set up the advert taking our clients unique requirements into account; we then test it, fine-tune it and repeat it. Our aim is continuously draw upon key findings from your audience to create adverts that acheive a specific desired user action. The interests and behaviour of your audience are forever changing and that’s why we spend a great deal of time looking at the finer details. As an example, we could create a Facebook Ad campaign for your business to send users to a dedicated landing page on your website, reach out to a particular buyer persona or even retarget users who visited specific pages of your website. There’s a lot of clever things our Bedford based team can do to win you more sales from Facebook Ad campaigns, so to find out more feel free to send us a message using our contact form at the bottom of this page. Can I sell direct from my Facebook page? Facebook is in the process of rolling out the new shop section for business pages. At the time of writing this, it is not possible to sell directly on Facebook in the UK, that feature is only available in the United States. That doesn’t mean, however, that you can’t create a Facebook Shop, it just means you’ll be sending visitors to the checkout pages on your website. There’s no doubt about it, having a Facebook shop gives you an extra area to showcase your products, and Social Moves can make sure your shop is well branded with high quality product images and engaging content. We can also report back to you on insights, such as how many views and/or message sends you’ve received for each product. It will take some time for Facebook to improve and perfect this feature so it’s worth observing its development, especially if you’re the owner of an e-commerce shop. To learn more about this feature or to get some advice from our friendly team, simply send us a message suing the contact form below. How can you help me flourish on Facebook? There are many ways in which we can help you improve your presence on Facebook. 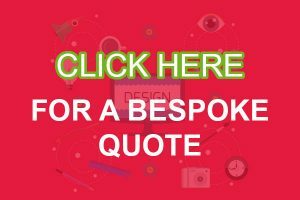 Whether you require specific market targeting, conversion driven/budget friendly adverts, improved brand recognition, regular engaging content, responses to customer enquiries, more positive reviews or more clicks through to your website, we can meet your needs with a package that’s built around your needs. It’s important to know that with Social Moves you get the full package. We don’t just write engaging content and design visuals to keep your page looking fresh, we’re always thinking of the bigger picture: How can we help you improve your online presence and boost sales? 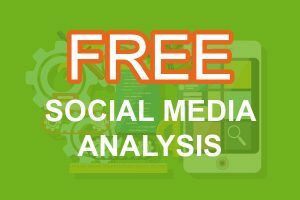 If you’d like to learn more about how we feel we can help you succeed, why not request our free social media analysis. All you need to do is enter the URLs of your social pages or the link to your website (where we’ll find links your social pages) and we’ll come back to you with a report on our findings within 5 working days.